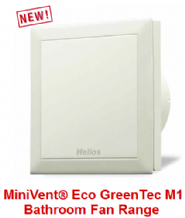 Helios offer two market leading ranges of Bathroom fan. For more of a guide to what you need to consider when choosing your bathroom fan see our guide here. Whilst both are ideal for domestic use, the ELS range can be used for multiple bathrooms, for more details see the Commercial Toilet Fan section. All of our bathroom fans come with backdraught shutters so are draft proof when not operational. Several of our fans are designed to be light switch operated with a run timer that allows the fan to continue running for a period after the light is off. The M1 Eco fan range come complete & ready for installation. The ELS range comes with a Mix-and-Match range of accessories and features for a range of applications. 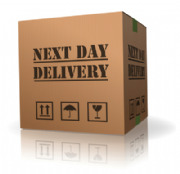 Unless replacing an existing fan you will need to buy a case for any ELS fan you purchase.